Picking the right summer camp to send your child is a very hard decision. Debating whether to send your child to a sports camp vs traditional camp. Quinebarge is here to make these decisions easy. Quinebarge has been around for 80 years providing kids a safe environment to have fun and be themselves. Everlasting Friendships and fun go hand in hand at Quinebarge. 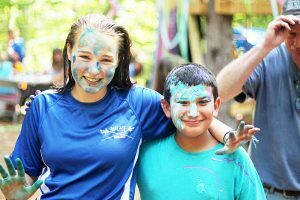 We find that giving our campers the freedom to choose their activities, unplugging and our sports program make Quinebarge the Best East Coast Summer Camp. While your camper is moving into their cabin at Quinebarge, they will have the choice of what activities they want to do . Quinebarge lets campers decide their schedule . 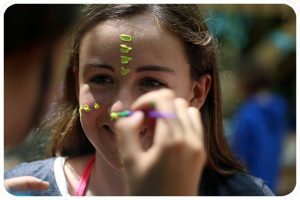 We hear that campers find that they love how they can customize their own schedules at camp. Your camper could be boating by morning , going down the zipline after lunch and end the day by making a ceramic bowl . Younger campers are encouraged to try new things at camp. Quinebarge’s trained staff help our younger campers with their schedules. At Camp we have a no technology policy for campers and staff. Camp is so amazing that the distraction of cellphones and tablets takes away from the experience. 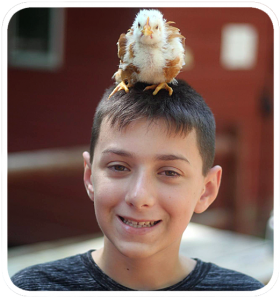 Our campers unplug when they come to camp and focus on making friends and having fun. Trust us when we say, the kids do not miss the electronics. From moment one they are busy and they quickly forget about their phones. Most of our parents love this aspect of Quinebarge. At Quinebarge our sports program provides a unique variety of activities. When your camper signs up they will play a variety of sports instead of just one. Every activity period Quinebarge offers Tennis and Archery for all campers in sports . Our staff consist of college athletes that are trained to teach our sports. We hear the our campers love the variety of our sports program.